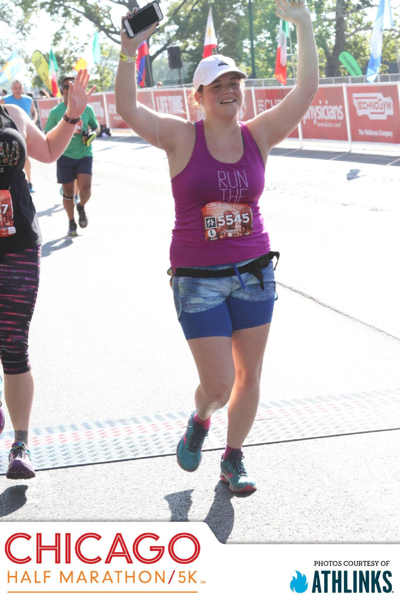 While I was running the Chicago half marathon last year, I wanted nothing more than for it to be over. It was a hot September morning. I was ill-prepared and had underestimated the amount of energy needed to run 13.1 miles. As the morning turned to afternoon, the sun beat down harder and I wondered what spell the other racers and I were under to take up this treacherous activity so willingly. I lived for one thing and one thing only. Well, aside from water. Okay, I lived for two things and two things only: water and the mile markers. At every mile, there was a sign informing runners how far they’d come. I watched for this sign as though it were my parent, and I a child lost at the grocery store. It grounded me and let me know where I was. And even more importantly, it reminded me that the race was almost over. This was vital, as I wasn’t sure how much longer my knees could struggle. In project management, your mile markers are referred to as project milestones. Project milestones help project managers delineate points, breaks, or accomplishments in their project schedules. Project milestones can signify the beginning or end of a project, or can be dispersed throughout a project do denote achievements in the middle. Milestones can be used as a reminder to complete necessary tasks, such as a budget check or an external review of the project. And while they hopefully aren’t as painful to arrive at as they were in my experience, they do serve to ground project managers and inform all involved of where you’re at in the process. If you're just getting started with project management, you'll likely want to start at the beginning. Take a few steps back and read our what is project management page to help get you up to speed. To help you better understand a project milestone, I’ve written this article further describing what it is, with tips on how to define them. The use of project milestones is more or less a scheduling strategy – Think of it like planning a wedding, if that’s your style. Your milestones might be events such as an engagement party, a bridal shower, bachelorette and bachelor parties, and then the actual wedding day. Most commonly, milestones are dealt with in project management software. While project management is increasingly becoming more digitized, even the Gantt method uses milestones. In other words, milestones break up a project into phases. TIP: Learn how a well designed project milestone can impact success of projects with these project management statistics. Let’s revisit the wedding example. It’s uncommon to casually plan out those dates as you go along. 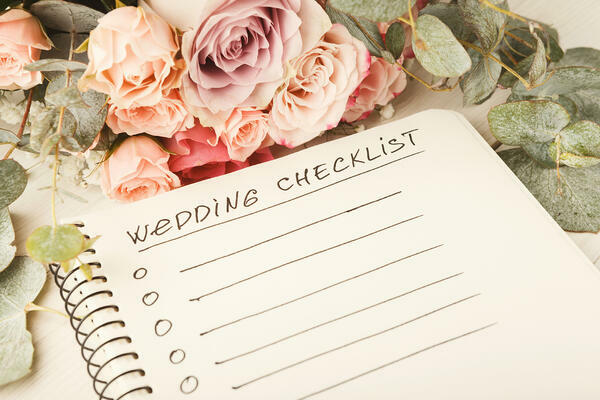 On the contrary, brides and grooms will often have the wedding date and the dates of their respective parties planned out months in advance, with an event planning professional. The same is true of project milestones. In order to use this strategy to the height of its potential, you have to plan these things out beforehand and detailed in documents such as the project scope statement. Milestones are more common in methodologies that follow a less-agile approach. Rather, they’re more appropriate for those wanting to keep strict deadlines. One methodology where project milestones are appropriate is the critical path method, or CPM. They are used as a scheduling technique. Project administrators can determine milestones ahead of time and employees can work hard to reach these various tiny finish lines. In this way, milestones serve much the same purpose as mile markers. When you can see how far you’ve come in a project, it’s much easier to determine how far you have to go, as well as how long it will take you to get there. Milestones are also a great tool when communicating project success. Consider whether there is anyone relying on your project, or if you have a board to impress. Regularly communicating the milestones you’ve met is a great way to gain trust and keep stakeholders updated on their investments even before the project is completed. Teams use milestones for peace of mind. When you’re in the thick of something, it can be difficult to determine who is really accomplishing what. Managers can lose sight of their overall perspective and begin to worry if the various small aspects of a project are being diligently accomplished. However, milestones serve as updates throughout the project that inform everyone of a team’s progress. When you set smaller deadlines for tasks adjacent to the project as a whole, you’re able to see all the little things get checked off of your to-do list one by one. As a project manager, you see how this is vital. Your whole job is to check things off as done and ensure your team is swiftly working toward goal completion. With milestones, you have to check up on your team less and get much better sleep at night. The creation of a milestone is different depending on what kind of methodology or software you’re using. If you want to base your project’s progression around milestones, you’ll want to zero in on a solution that features or integrates with digital Gantt charts. From there, you can declare milestones the new-age, old-fashioned way: by converting tasks to milestones within whatever software solution you’ve chosen. Other solutions might have a different technique, or may not utilize milestones verbatim. But many project management solutions allow you to name tasks and categorize the importance or priority level. With such high levels of customization, you and your team could set your own rules and use team-wide conventions to understand when a milestone has been hit. This is especially true of project management solutions which display tasks and progress in a linear format. By understanding where your team is at in the project, you’re able to see which milestones have been hit. You’ll also want to use a project management tool with reporting features. Remember when we said stakeholders and investors might be interested in the progression of your team’s work? A reporting feature within a project management solution makes it simple to develop, print, or send over that information to inquiring minds. Milestones also help you understand what's most important. With milestones, you create a timeline of goals and achievements which visually displays what's imperative to accomplish first. Milestones are just one way to better prioritize at work, a challenge many professionals face. How do we choose a task when they're all someone else's emergency? If you're having trouble planning your days and feel you could use a little extra help ranking your projects and assignments, read our article How to Prioritize at Work (+7 Helpful Tips). Like my half marathon, you’re involved in your projects for the long run. As a project manager, you’re required to see a project through from conception to completion, and everything in between. This can often become more than one person can handle, which is why the professionals who came before you strategized and iterated to come up with the various methodologies and solutions available to you today. I mean, can you imagine if you still had to delegate work to your teammates with the use of manual visuals such as colorful blocks? Project milestones are just another tried and true method for simplifying your responsibilities as project manager. It keeps your team on their toes as they continually work to complete various micro-goals. Milestones are a visual your team can get behind. It encourages them to celebrate the small stuff and to look for the smaller wins within the bigger picture. This, in turn, can even make your team feel more appreciated, improving morale and encouraging them to continue the hard work. If you’re going to use milestones as a project management strategy, you probably shouldn’t take on the challenge alone. G2 Crowd has a number of project management solutions on our site that are great at helping professionals schedule their team into success. Work projects can feel like one half marathon after another. Don’t be like me. Adequately prepare yourself with proper training or, in this scenario, the right software solution.